Dating back to “book tokens” invented by Harry Raymond in the early 1930s, gift cards have been a popular consumer choice for more than 80 years now. Sure, they have their detractors – there’s always a vocal minority of people who love to hate on gift cards – but when you take a closer look, there’s more in favor of the all-purpose gift than against it. Say goodbye to the days of crossing your fingers and hoping that your grandpa really does wear medium in sweaters and that your cousin hasn’t gotten her hands on Sarah Waters’ latest novel yet. With a gift card, you significantly reduce your chance of picking the wrong item, because you leave the decisions up to the person receiving the gift. While gift cards offer freedom of choice to the recipient, they also let you decide the scope of your present. Know your best friend is looking to expand his record collection but can’t decide which album to get him? Choose a gift card to your local music store. No clue what your next-door neighbor is into, but want to repay her generosity for feeding your cats while you were on vacation? Pick up an Amazon gift card so she can choose anything from DVDs to power tools. For the past eight years, gift cards have ranked at the top of the National Retail Federation’s list of most desirable presents. 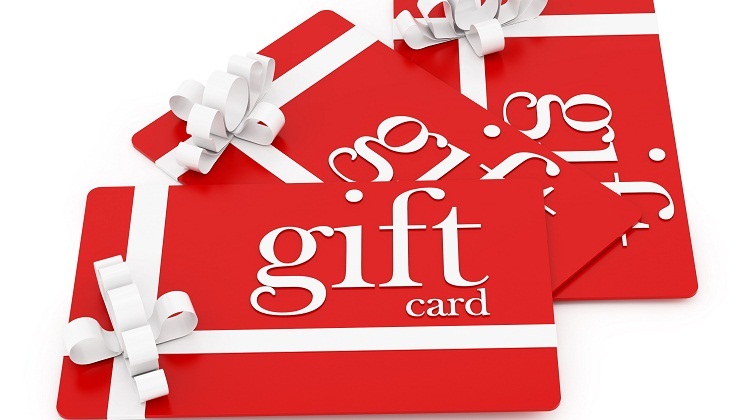 Nearly two-thirds – 62% – of consumers said they would like to receive a gift card, according to the latest survey conducted by the organization in October. Gift cards are popular among both men and women, and they’re sure to delight friends and family of all ages. Gift cards these days are more consumer-friendly than ever. In 2009, Congress passed the Credit Card Accountability Responsibility and Disclosure Act, which served to strengthen consumer protections. By restricting the kinds of fees retailers can impose and banning expiration dates of less than five years from sale date, the law has increased the usefulness of the gift card. It’s no surprise, then, that the popularity of gift cards shows no sign of slowing down. The NRF expects total spending on gift cards to grow to $31.74 billion this year. It happens gradually. First, the candies you bought your little cousin added up to more than you expected. Then you spot an amazing jacket you know your sister would love – at $50 more than you planned to spend on her. Eventually, the spending guidelines you laid out for yourself are out the window, and you have to face the consequences of dipping deeper into your savings than you can afford. When you’re trying to stick to a budget, the gift card can be the perfect solution. Priced at round numbers like $10, $25 or $50, gift cards let you spend exactly how much you want to, and not a cent more. If none of the suggested values match how much you want to spend, it’s easy to find gift cards that let you write in a specific amount. Available at most grocery stores and pharmacies, gift cards are ubiquitous – a boon for busy shoppers who can’t afford to spend hours wandering the aisles to spot the perfect gift. And even if your local store happens to run low on the specific types and amounts you’re looking for, there’s always the Internet. Go online to purchase cards directly from the retailer, or turn to a card reseller like Plastic Jungle, Cardpool or Gift Card Granny. If only there were a way to give someone $20 while spending only $15. … Actually, there is: As December is the peak month for gift card promotions, you can do exactly that. During this holiday shopping season, you’ll find dozens of discounts on gift cards, saving you 10–20%. By opting to buy never-used secondhand cards online, you can save even more, up to 35%. Since the value of the gift card will remain the same, however, no one will ever know that you didn’t purchase it at full price. Credit cards can offer another way to save. Got a rewards card? Redeem your points in gift cards to save you cash, or charge your gift certificate to your credit card to rack up extra points toward your next reward. Besides the gift cards themselves, you can also save on gift-related expenses. If you’re planning to mail packages to friends and family on the other side of the country, shipping costs can add up. By slipping a lightweight gift certificate into an envelope with a holiday card, you can skip these fees, mailing your presents at the cost of a regular stamp. If you choose the electronic route, you won’t need to pay even a cent in postage. For more thrifty ideas, read all our tips on getting gift cards for less.